Tim Springer founded Level Access with the vision of creating a world where all digital systems are accessible to people with disabilities. For two decades, Level Access has provided digital accessibility compliance solutions for corporations, government agencies and leading educational institutions. Tim views access to digital technology as a profound, empowering force in the lives of individuals with disabilities. As CEO of Level Access, he is dedicated to ensuring technology not only meet regulatory standards but supports real world use by individuals with disabilities. As founder of Level Access, Mr. Springer designed Level Access's core technology and led the development of InFocus(tm), the industry's first commercial software for testing Web accessibility. Tim served as the chief architect of the Accessibility Management Platform, Level Access's proprietary accessibility assessment methodology and wrote Level Access's programming language - the Document Compliance Query Language (DCQL). Mr. Springer advises many large public and private sector organizations on the technical challenges and best practices required to successfully achieve accessibility. He holds a Bachelor's of Science Degree in Computer Science from Stanford University. He was recently awarded recognition as a Champion of Change by the White House. Mr. Springer took over as the CEO of Level Access in 2003 during a period of significant strain on the company. He oversaw a complete redevelopment of the service and product offerings of the company and drastic realignment of the company operating team. Since then he has overseen growth in excess of 20% a year and the acquisition of the Bartimaeus Group and TecAccess. New York City is home to virtually every type of person and every type of company on earth. Our group exists to advance accessibility and inclusive design. Our goal is to bring together NYC's accessibility community to share ideas, best practices, and our experiences. If you're interested in accessibility and inclusive design then we want you in this group. We meet monthly, our previous presentations are archived on YouTube (https://youtube.com/a11ynyc). 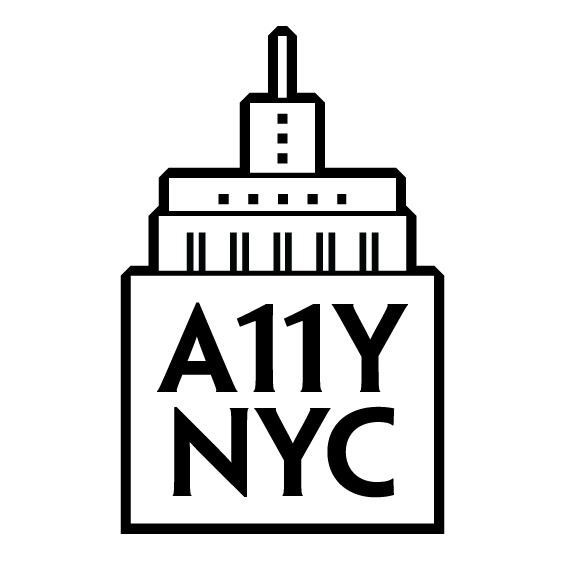 Follow us on Twitter @A11YNYC. Are you organizing 2019 Digital Accessibility Trends--An Evening With Tim Springer, Level Access? Are you an organizer of 2019 Digital Accessibility Trends--An Evening With Tim Springer, Level Access ? Geo Lightning Talks! Grab the mic!